Start off right with solid security tools, productivity software, and other programs that every PC needs. Bonus: Back up your PC! The best free PC software programs aren’t about the cost (or lack thereof), they’re about a fresh opportunity—collections of code that put the dumb hardware in your computer to smart use, tools that can accomplish anything from balancing your household budget to helping cure cancer. Stocking your PC is an intensely personal task. 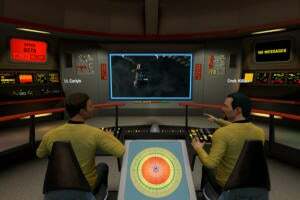 But some programs are so helpful that we heartily recommend them to everybody. These free PC programs—a mix of must-haves and delightful auxiliary apps—deserve a place on almost any computer. Updated 8/30/18: As great as these free programs are, there are times when a paid alternative makes sense. We’ve updated this article to point out the circumstances where an upgrade over the free offering is warranted. 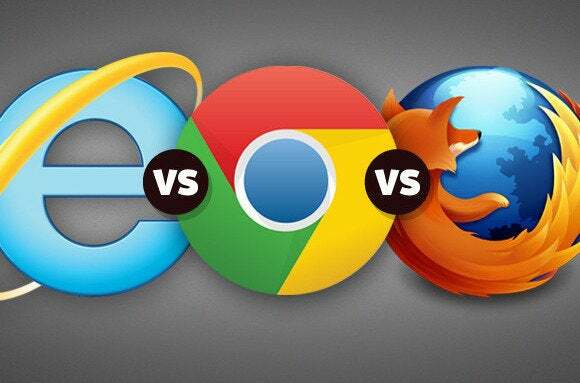 Our money’s on Chrome, which earned top honors in PCWorld’s extensive best browser showdown. But hey, they’re all free! Try before you “buy.” And if the big names aren’t your thing, there’s a legion of highly specialized alternative browsers begging for your attention. Is it worth it to upgrade to a paid version? Maybe. Browsers are largely free, and mostly fantastic already. For Windows users there is Ghost BrowserEdit non-product linkRemove non-product link, which lets you sandbox separate online identities while viewing them all in a single window. At $120 per year, however, you’ve got to really need what Ghost Browser’s offering. 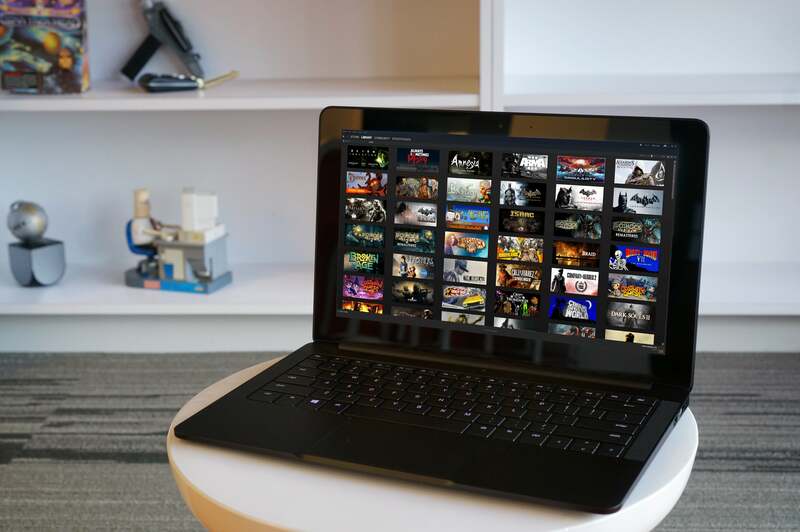 Ninite makes loading up a new computer a breeze. Simply head to the Ninite website, select which free software you’d like to install on your PC—it offers dozens of options, including many of the programs named here—and click Get Installer to receive a single, custom .exe file containing the installers for those programs. Run the executable, and Ninite installs all of them in turn, and it automatically declines the offers for bundled bloatware so many free apps try to sneak in. No muss, no fuss, no hassle. No. For most users there really isn’t a worthy alternative, and even if there was it wouldn’t justify the cost. 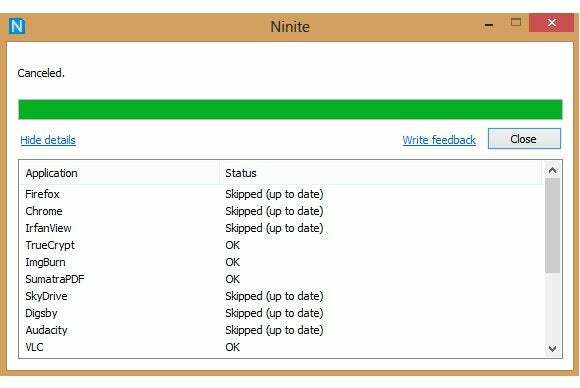 That said, there is a paid complementary utility called Ninite Updater that costs $10 per yearEdit non-product linkRemove non-product link that makes it easy to keep all your desktop programs up-to-date. Accidentally installing unwanted bloatware is one of the greatest dangers of free software, the sanctity of Ninite aside. For everything else, use Unchecky. 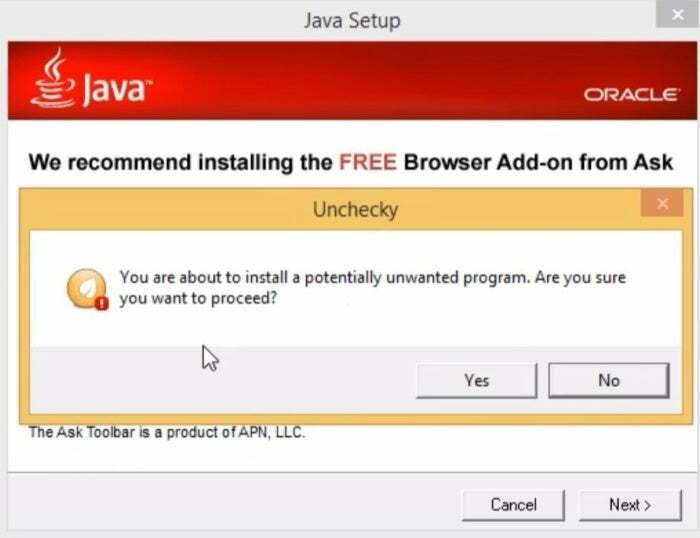 Unchecky automatically unchecks all of the checkboxes when you’re trying to install a program, and warns you if shady software is trying to sneak something ugly onto your machine. No. Again Unchecky is in a league unto itself, and while you might find similar capabilities bundled in an antivirus program, there’s little reason to look elsewhere. The Windows Defender software enabled by default in Windows 10 provides solid protection for most users, but no single antivirus utility offers bulletproof protection, especially against the latest and most clever threats. MalwareBytes Anti-Malware Free was designed specifically to find and eliminate those cutting-edge “zero-day” vulnerabilities. You can’t schedule scans or even use it as a regular antivirus program, but it’s invaluable when you think that something nasty has slipped by your primary antivirus utility. Yes. As the saying goes, “a few megabytes of prevention is worth a terabyte of cure,” or something like that. Malwarebytes is great at saving infected computers, but Malwarebytes Premium at $40 per yearEdit non-product linkRemove non-product link is on guard to stop the malware from getting in its hooks in the first place. Beyond that, premium antivirus options offer a combination of excellent protection, a worthwhile selection of features, and minimal impact on your PC’s performance. 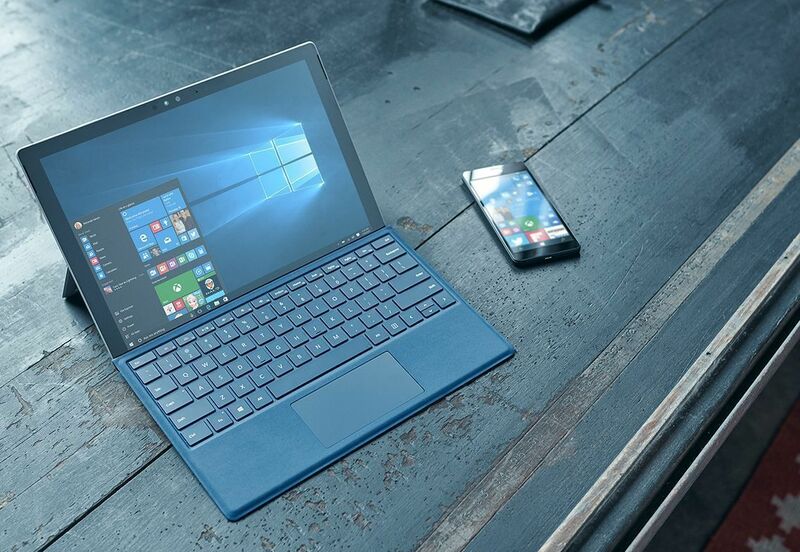 PCWorld’s guide to the best antivirus for Windows PCs can walk you through your options. Most boxed PCs come chock-full of bloatware intended to make dough for the PC makers, and you probably don’t need (or want) most of it hogging your system resources. 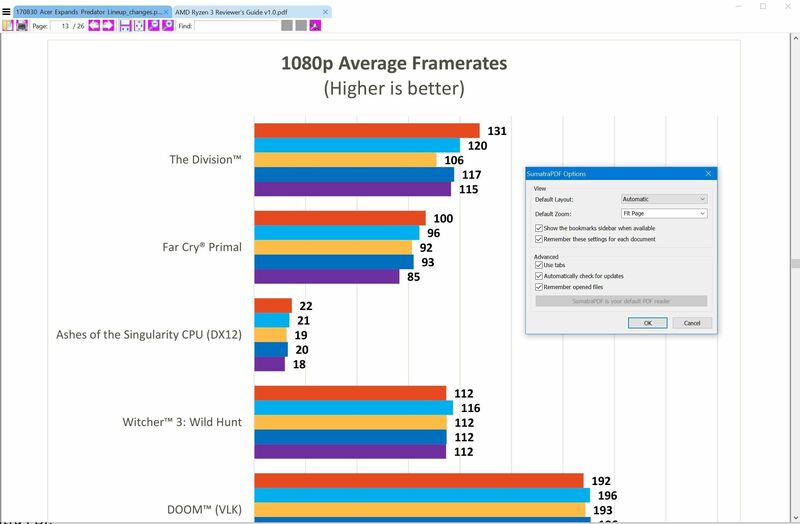 That’s where PC Decrapifier comes in. 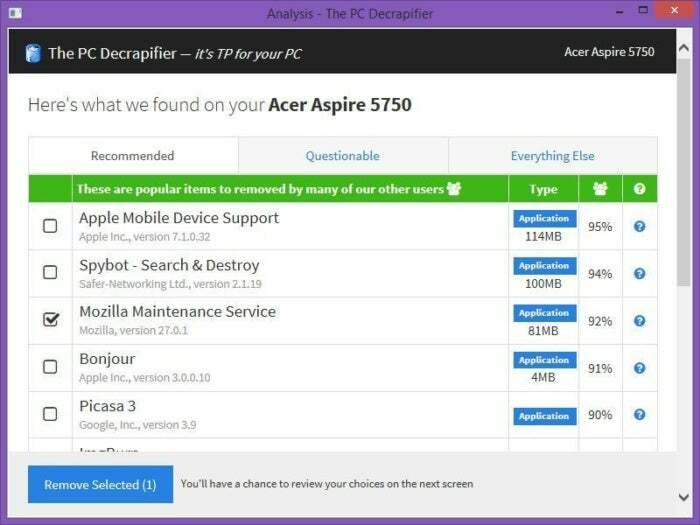 This pint-size wonder program scans your PC, brings up a checklist of the bloatware installed on your machine, and helps you wipe it all away in one fell swoop. Yay! A secondary screen lists all of your programs if you want to nuke even more. Ignore it, or just be careful to avoid erasing something important. Microsoft introduced its own tool to blow away Windows 10 bloatware, but it involves performing a complete reinstallation of the operating system. Don’t mess around with it unless you know what you’re doing. No. PC Decrapifier Pro, is the only app that qualifies, and it simply adds the ability to mark favorites and offers faster removal for future decrapification sessions. On the surface, Launchy is a simple app launcher, and that’s swell all on its own! 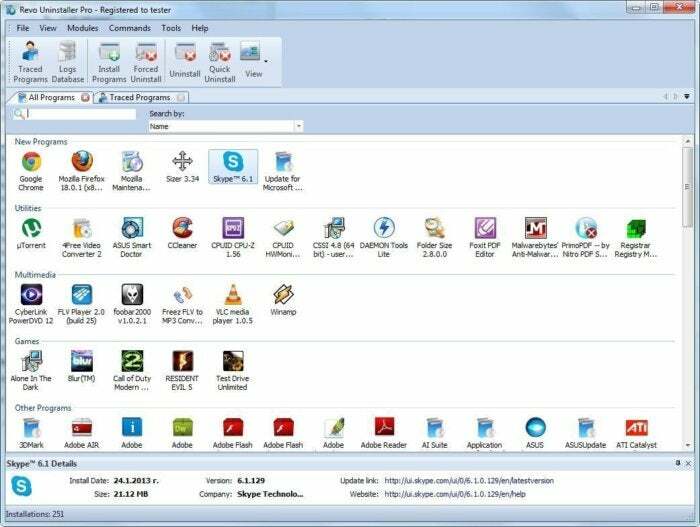 App launchers let you activate software far faster than navigating Windows, even if you use the Windows key and search for an app by name. But Launchy can do much, much more: Open any file or folder in mere seconds, shut down your PC, or even kill processes and perform math calculations with the right plug-ins. Read Lifehacker’s superb tutorial and forget about your Start menu. No. Launchy is another Windows utility that is unto itself; however, the developers do accept donations, and we highly recommend tossing the developers a few dollars for this excellent program. 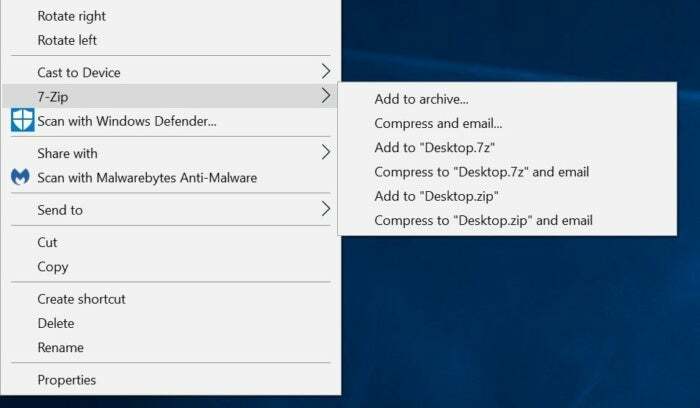 Windows can create and extract ZIP files natively, but if you find yourself staring at another compressed archive you’ll need a dedicated program to handle it. A lot of them cost money. 7-Zip is open-source and completely free, ready to perform all your archiving needs from Windows’ right-click context menu. You can even encrypt 7-Zip archives with a password to send them securely. No. 7-Zip is great, and paid parallels such as WinZip really don’t offer enough to justify the fee. If you spend all day unzipping massive archive files then maybe a faster utility like WinZipEdit non-product linkRemove non-product link is worth it. For most of us, however, 7-zip is just great. Another must-have system tool: the legendary CCleaner. It does all the dirty work required to keep your PC running in tip-top shape, including ditching unwanted cookies, wiping your browser history, deleting unnecessary files, and keeping your Windows registry sparkling clean. Note: CCleaner recently got mud in its eye when it was hacked for the purposes of industrial espionage. Piriform now has a safe version of the program available to download from its site. CCleaner is powerful, but even better, it’s free! Maybe. 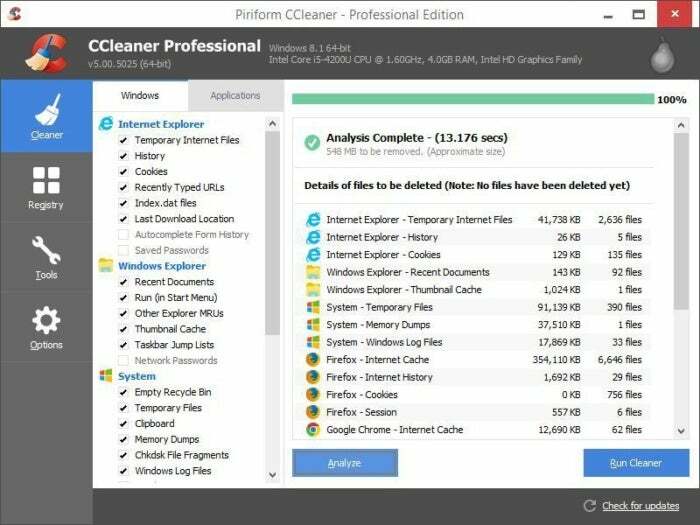 CCleaner ProEdit non-product linkRemove non-product link for a $20 annual subscription adds real-time monitoring, scheduled cleaning, and premium support. Windows 10 has a prickly problem: Unlike Windows 7, it’s incapable of playing DVDs out of the box. Your PC might have a DVD-playing program installed if you bought a boxed system, but if not, the simply wonderful VLC media player can play your flicks (and music, and podcasts, and…) for free. It can even play (some) Blu-ray discs with a little fiddling. No. 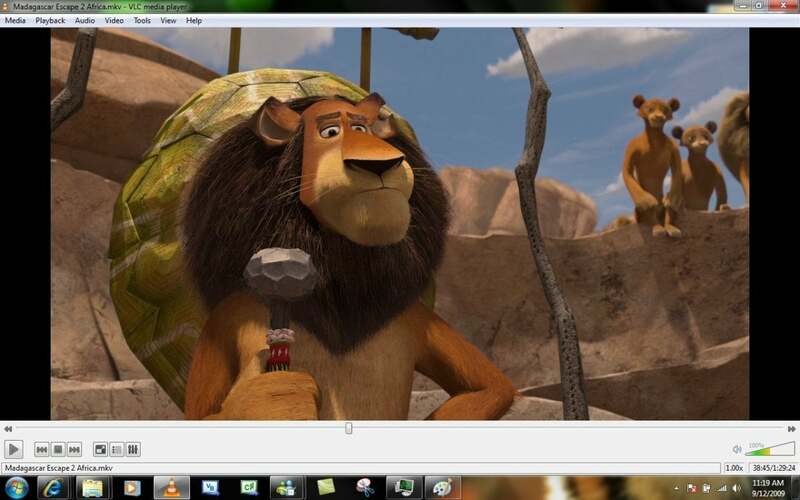 VLC is just fantastic, and you won’t find a paid option that justifies its worth compared to this free workhorse. You can, however, send the VideoLAN organization a donation as a thank you for its hard work. 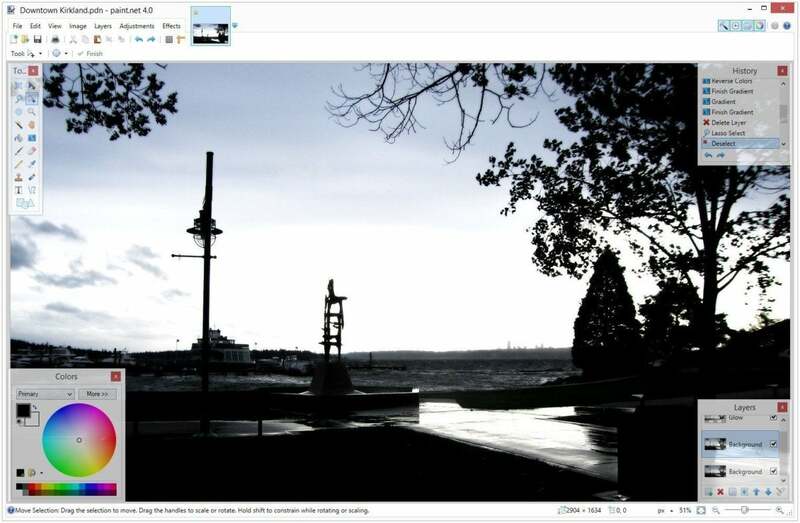 Don’t let Paint.net’s freebie status fool you: This image editor may not have all the bells and whistles of Photoshop, but it packs everything that most people need (even layer-based editing) and costs hundreds of dollars less. If you’re a graphics professional, and you can’t afford Photoshop but require more than Paint.net offers, check out GIMP. It has a challenging learning curve, but its capabilities are damned impressive once you wrap your head around it. Yes. Free image editors are generally great and GIMP is looking better than ever. But Adobe’s hobbyist level Photoshop Elements at $80 has advanced features that you won’t find in the free programs. 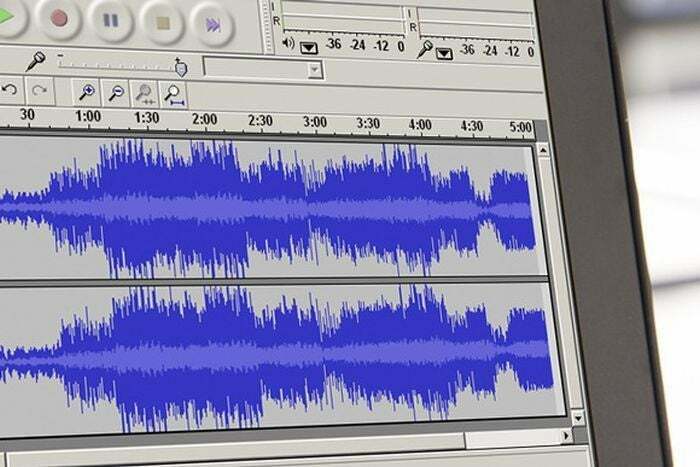 If you need to record or mix audio without spending big bucks on pro software, Audacity is hands-down the best option around. This powerful open-source audio editor offers excellent production capabilities—and a dizzying array of buttons and options. Snag it, then read PCWorld’s Audacity primer to wrap your head around the basics. Maybe. For most users Audacity is a powerful tool, but if you’re rising to the level of semi-pro and need a deeper level of audio editing then Adobe’s Audition CCEdit non-product linkRemove non-product link for $21 per month might be worth it. Keep in mind, however, that Adobe Audition is a pro tool and not a starter option. When you delete software using Windows’ default uninstallation utility, it can leave a lot of remnants behind in weird places, sucking up precious storage space. Revo Uninstaller wipes out everything. It’s great. Yes. Revo uninstaller only takes care of the basics. If you need features like getting rid of remnants from previously uninstalled programs or mass uninstalls then spending $20 on Revo Uninstaller ProEdit non-product linkRemove non-product link or a $20 yearly subscription to Iobit Uninstaller ProEdit non-product linkRemove non-product link is worth it. But what if you want to bring a deleted file back to the realm of the living? 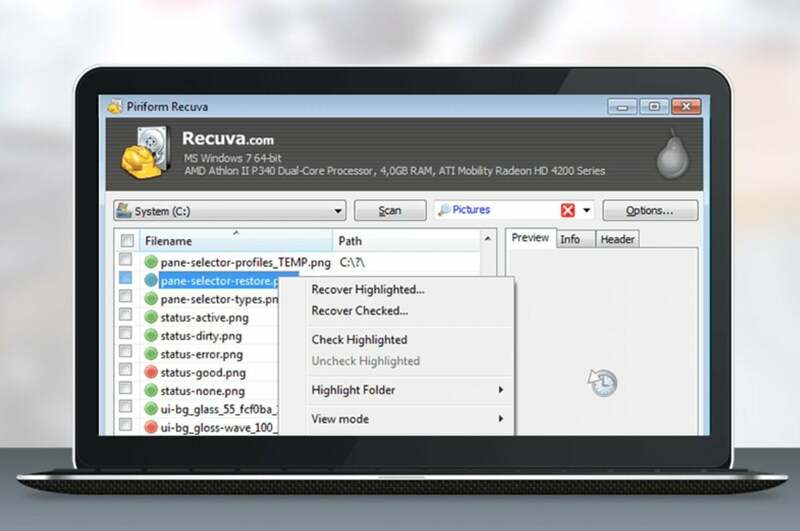 Recuva is a clean, simple undelete program from Piriform, the makers of CCleaner. Be warned: Recuva won’t be able to recover all deleted files, and the odds are even lower if you erased a program with a secure delete tool like Eraser (another top-notch free program). Still, Recuva has saved my bacon on more than one occasion. Maybe. Recuva helps you recover files, but if you want power user features like virtual hard drive support and automatic updates then the $20 for Recuva ProEdit non-product linkRemove non-product link might be worth it. Adobe Reader may be the go-to PDF reader for many people, but it’s clunky, constantly updating, and frequently targeted by malware peddlers. If you need only basic functionality, go with Sumatra PDF instead. Sumatra lacks the fancy extras found in many full-featured PDF readers, but when it comes to straight-up reading Portable Document Format files, Sumatra PDF is blazing-fast and completely accurate. Oh, and since it’s less ubiquitous than Adobe’s offering, hackers tend to stay away from Sumatra PDF. No. There are paid PDF readers such as Adobe’s Acrobat ProEdit non-product linkRemove non-product link or Wondershare’s PDFelementEdit non-product linkRemove non-product link. But they offer features that few people need such as the ability to edit PDFs, watermark, and annotate them. If you must have these advanced features check out PCWorld’s guide to the best PDF editors. Sometimes, blasting tunes is the only thing that makes slogging through a spreadsheet or a stuffed inbox even remotely tolerable. 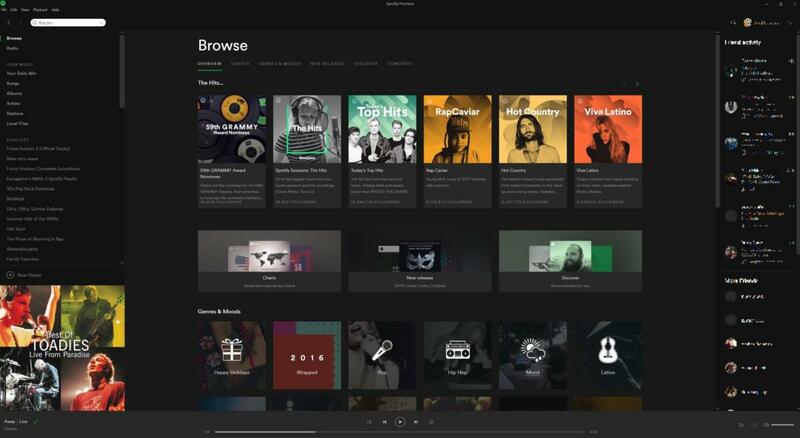 The exact music client you’ll want will depend on whether you’ve already bought into a service, naturally. For musical neophytes I recommend two programs: iTunes and Spotify. Yes. In fact, if my editors let me use "Hell Yes" as an option, I’d say, "Hell Yes!" You don’t need to be an audiophile to recognize the sound difference in the higher-quality versions SpotifyEdit non-product linkRemove non-product link and Apple MusicEdit non-product linkRemove non-product link premium subscribers get, plus no ads and the freedom to listen to your music anywhere? Sold. 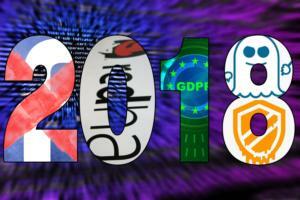 The high-profile hack attacks of the past few years have driven home the point: You need strong passwords, and you need a different password for each site you visit. Rather than juggling dozens of alphanumeric codes in your noggin, download a password manager. Yes. 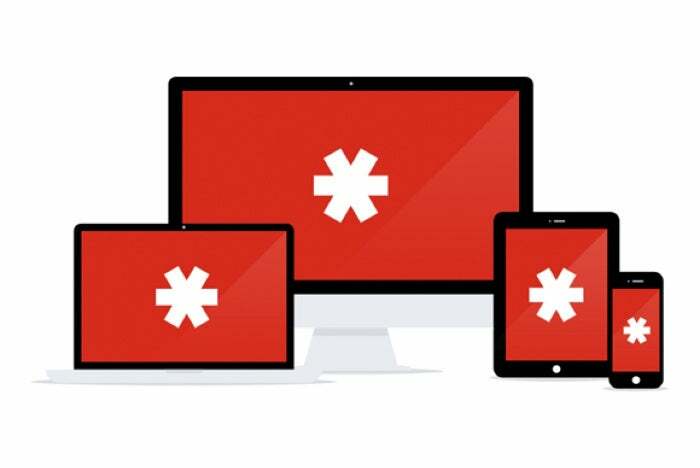 Password managers are important tools, but you need them on all your devices to be effective and that means paying for the service. LastPass PremiumEdit non-product linkRemove non-product link is the cheapest subscription at $24 per year, but there’s also 1PasswordEdit non-product linkRemove non-product link and Dashlane PremiumEdit non-product linkRemove non-product link. PCs excel at helping you Get Things Done—but few of them ship with a productivity suite installed. Fix that, stat! Even if you don’t plan to use a productivity suite regularly, it’s smart to have basic editing capabilities available on your computer. Legions of people swear by Microsoft’s legendary Office; I do, too. But you don’t have to drop big dollars on Office if you don’t need its myriad bells and whistles. 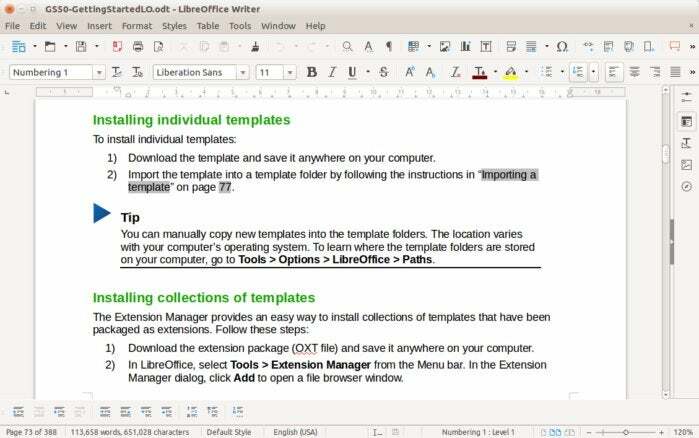 Free—and good—alternatives abound, with LibreOffice (pictured) being the flagship free-and-open-source option. The online-only Google Docs also rocks. 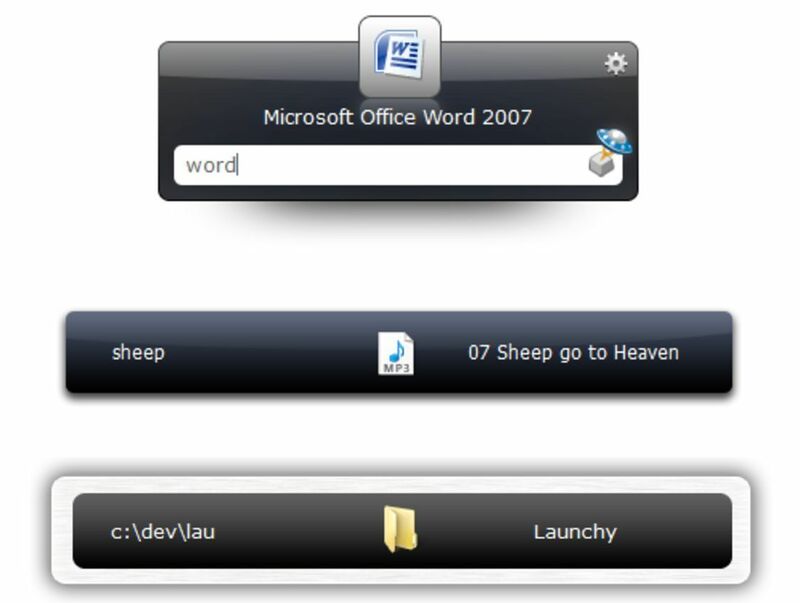 PCWorld’s guide to the best free Microsoft Office alternatives explains your various options. Maybe. You can get a lot done with LibreOffice or Open Office, or even Google Docs. But there’s a lot to be said for Microsoft’s subscription service, Office 365, with its added 1TB of OneDrive storage and monthly Skype minutes. Macros sure are great in Microsoft Word and Excel, aren’t they? AutoHotKey lets you create customized keyboard shortcuts for any program or action on your PC. 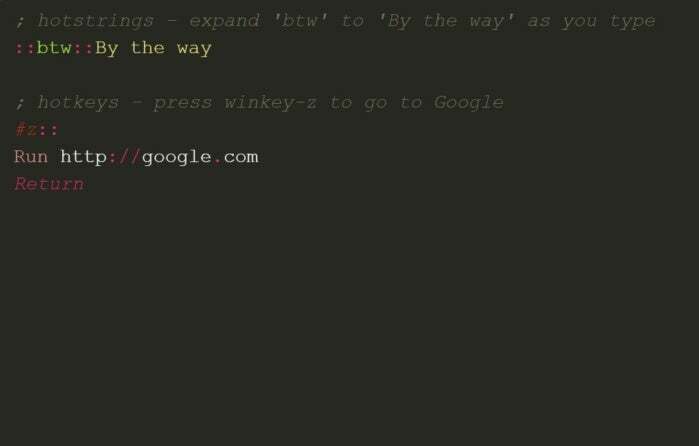 It’s not exactly beginner-friendly, as configuring AutoHotKey requires some very basic scripting, which most people will be able to pick up quickly enough. It’s downright magic once you wrap your brain around it though. No. Even if you could pay for a pro version, why would you? 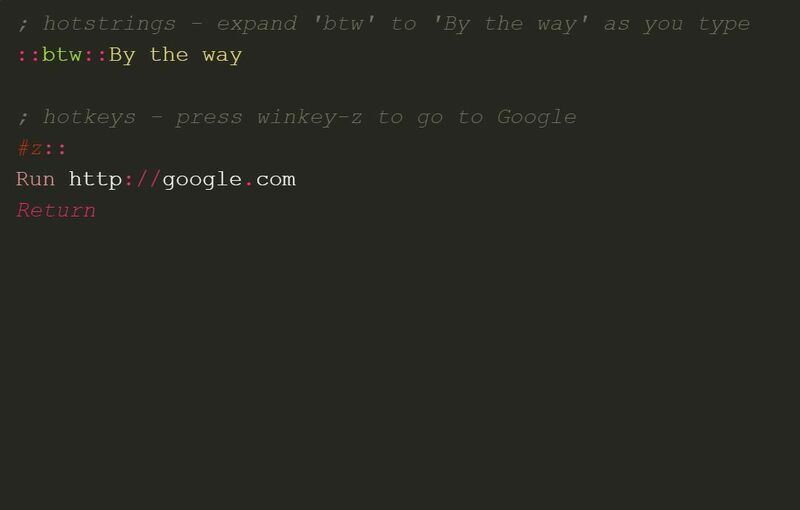 But if you like keyboard shortcuts, Vimium is another great free option for adding keyboard controls to your browser. The free version is limited to just 500MB of data per month, though. Yes. This is another one where “Hell Yes!” would be appropriate. TunnelBear is great, and we think it’s a trustworthy product, but the 500MB monthly limit is so tiny. There are numerous VPNs to choose from. 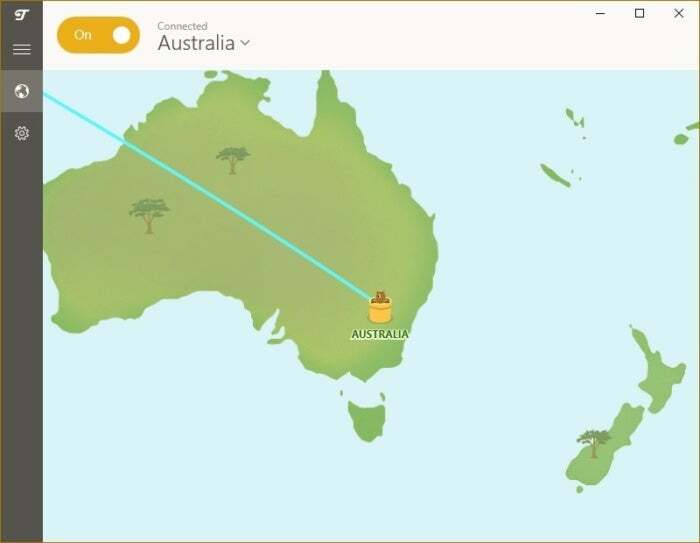 Check out our roundup of the Best VPNs to find the one that suits you. Our current top pick is MullvadEdit non-product linkRemove non-product link. All work and no play makes Homer something something! Valve’s outstanding PC game marketplace, Steam, makes it easy to shrug off the stress of the workday and blow off some ... well, you know. You’ll find tons of free games available on Steam, and games are frequently given away free for a limited time. EA’s rival Origin service also has an On the House program that often provides games for free-as-in-beer free. Those aren’t your only options though. 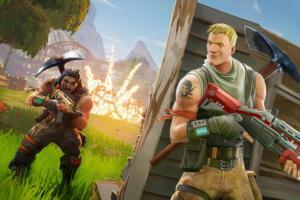 Check out PCWorld’s guide to the best free PC games for more options than you’ll ever be able to actually play. Probably. Free games can only take you so far before you’re left wanting more. SteamEdit non-product linkRemove non-product link, GOGEdit non-product linkRemove non-product link, EA’s OriginEdit non-product linkRemove non-product link, and BlizzardEdit non-product linkRemove non-product link can all satisfy your gaming needs once the free games aren’t enough. 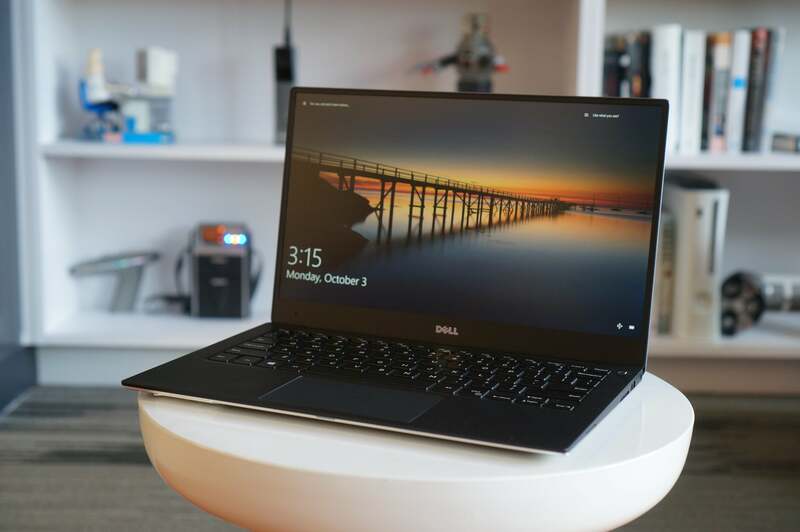 This isn’t an official recommendation because the best way to back up your PC for free is to use a hodgepodge of native Windows utilities and no-cost third-party solutions. But backing up your data is so vital—especially in this rising age of ransomware—that it needs to be highlighted here. If the idea of using a mish-mash of tools makes you wince, check out PCWorld’s guide to the best Windows backup software for more options. You’re going to need some portable storage to stash your bits on, too. 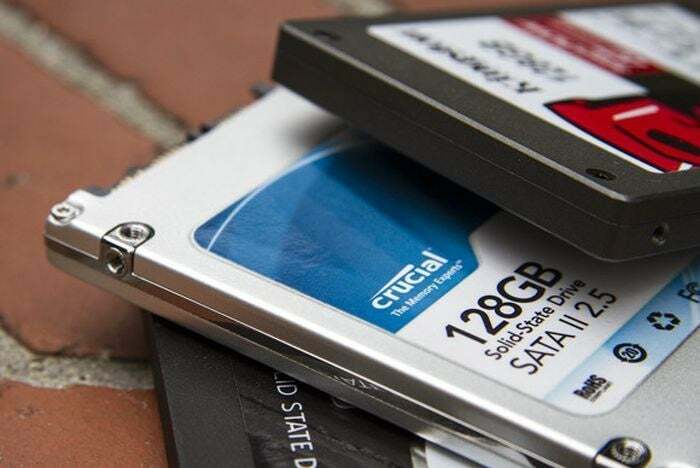 PCWorld’s best external drives roundup can help there. Yes. The best strategy for backing up your PC isn’t just throwing your files on a hard drive over USB. You also need to have an online backup, and there are many services to choose from such as BackblazeEdit non-product linkRemove non-product link, and CarboniteEdit non-product linkRemove non-product link. 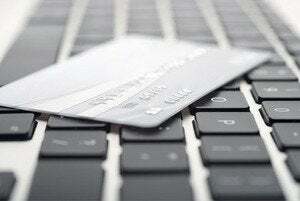 Check out our guide to the best online backup services for more details. Now that you’ve loaded up your PC with the best free software around, it’s time to put Windows itself to work. 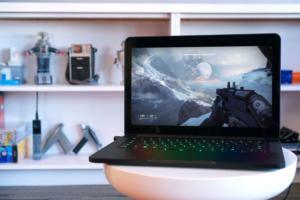 Head on over PCWorld’s best Windows 10 tips, tricks, and tweaks guide to seize even more control over your PC for the low, low price of nothing.